Hollow Grounds is about a suicidal cartographer who decides the best way to map the interior of the planet is to dive head-first down it. This is one of those iPhone that controls entirely using the gyroscopic technology. 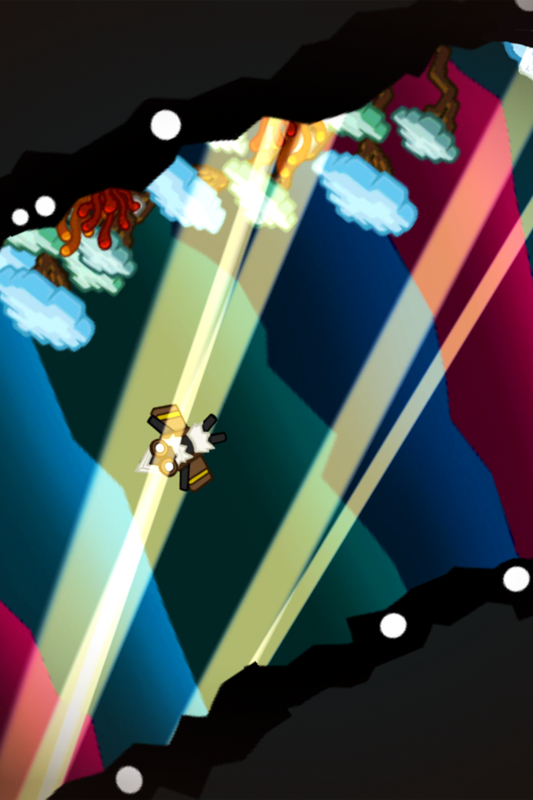 To play, you have to spin your iPhone around to steer him through a series of 25 caves. To pass a cave, you have to meet minimum requirements associated with speed, item collection, and super special item collection. Well, allegedly. There were a few times that I barely picked up any items, missed all the super gems, and spent the majority of the stage braining myself against the wall and I still would get a passing grade. In fact, through the first 14 stages I only failed once and that’s because I paused the game. As it turns out, pausing doesn’t really stop the action. It just slows it down. I don’t know if this is supposed to be a hidden cheat or just a programming brain fart. Actually, Hollow Grounds is full of cerebral flatulence. The game is all about quick reflexes, and yet there are stars scattered throughout the stage that you are encouraged to get. Your dude travels fairly fast, so missing some of them is inevitable. The only way to overcome this is memorizing the stage, but that will probably be tricky on account of all the stages looking nearly identical. All you have to go by is the occasional light beam, but in over an hour of play time I swear I never really noticed them on account of my dude free-falling a couple hundred miles an hour. The level design also gets a little far-fetched around the 15th cave. Before this, I was barely able to keep up with the sharp bends on the track. Starting in level 15 it has you doing loopity-loops and figure-eights. Given the speed your guy falls, I swear this is less a game and more like a conspiracy from Apple to cause you to drop and break your phone. The game expects every one of its players to have the dexterity of one of those greasy Italian guys who spin pizza dough on their finger tips. I admit, I did have a teeny tiny bit of fun with Hollow Grounds, but it needs a lot of work. I know the idea is the game is set in a cave, but the drab visuals were kind of downer, and the game speed is way too fast for what it expects of you as the player. I think children are more likely to be amused by the spinning stuff, so if you have kids and a desire for a crack across your iPhone screen, give Hollow Grounds a chance. It will be a good way to soften them up to the idea of a hollow Earth. That way, when you go to feed them to the Morlocks, they won’t suspect a thing. 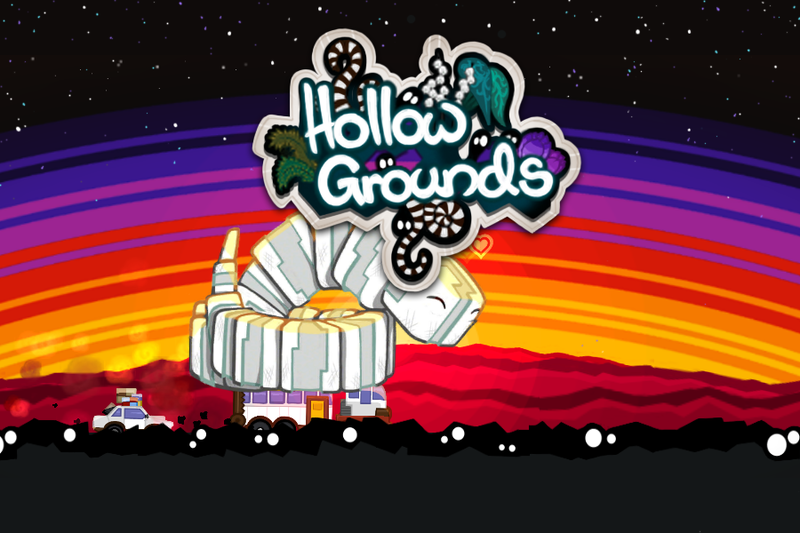 Hollow Grounds was developed by Full! Color! Planet! 99¢ fed their sister to a CHUD in the making of this review. What an absolutely hideous control scheme.